A promising beauty regimen I am looking forward to is this: Japan’s best-held longevity and beauty secret, FINE Hyaluron & Collagen. With the rise of these types of “edible cosmetics” being locally available, I am hopeful to give this one a try. 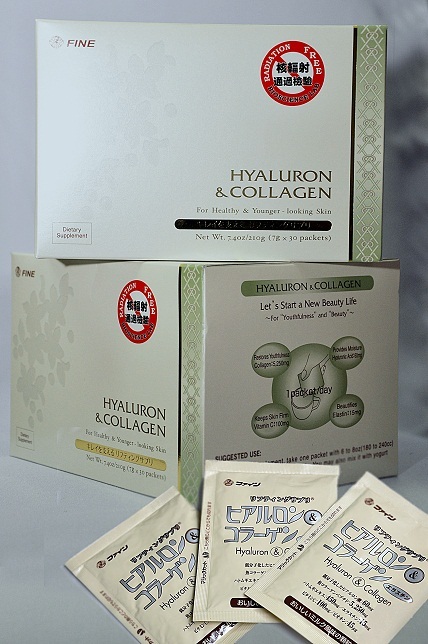 FINE Hyaluron & Collagen is made by Osaka-based FINE Co. of Japan, a four-decade company and a leading player in the global “nutraceutical industry,” distributed here in the Philippines by its subsidiary, Fine Nutrition Trading International. The key ingredients of FINE Hyaluron & Collagen are: Hyaluron (60mg), Collagen (5,250mg) and Elastin (15mg). The main ingredients give a synergistic toward healthier and more beautiful skin, plus, Vitamin C (100mg), Biotin (45mcg) and Pearl Coix extract (450mg) for more radiant and glowing skin. A lifting supplement, simple once a day empty content of 7g sachet of FINE Hyaluron & Collagen, mixed with hot or cold beverages, even soup. bгussels. I’ll be grateful if you continue this in future. Many people will be benefited from your writing. Cheers!